Hi guys! 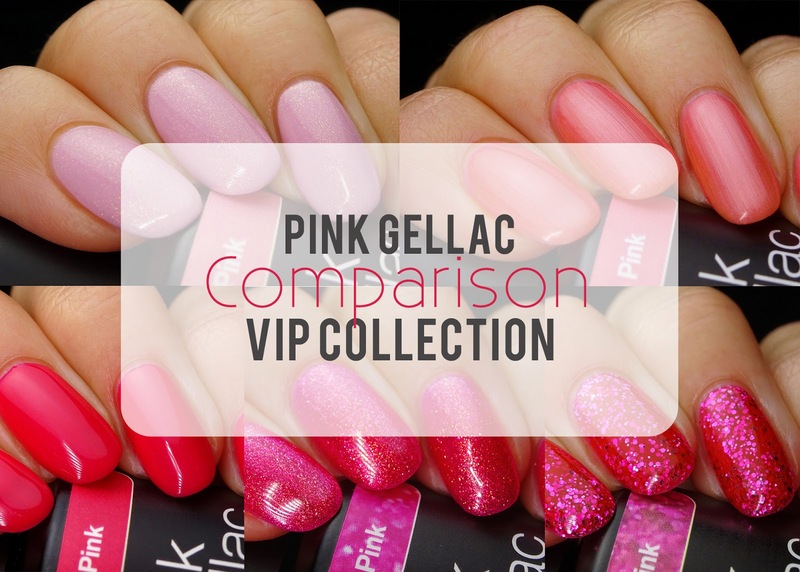 A few days ago, Pink Gellac launched their new V.I.P. collection and I posted my swatches. I thought it might be interesting for those of you who are still hesitant to do a comparison post. 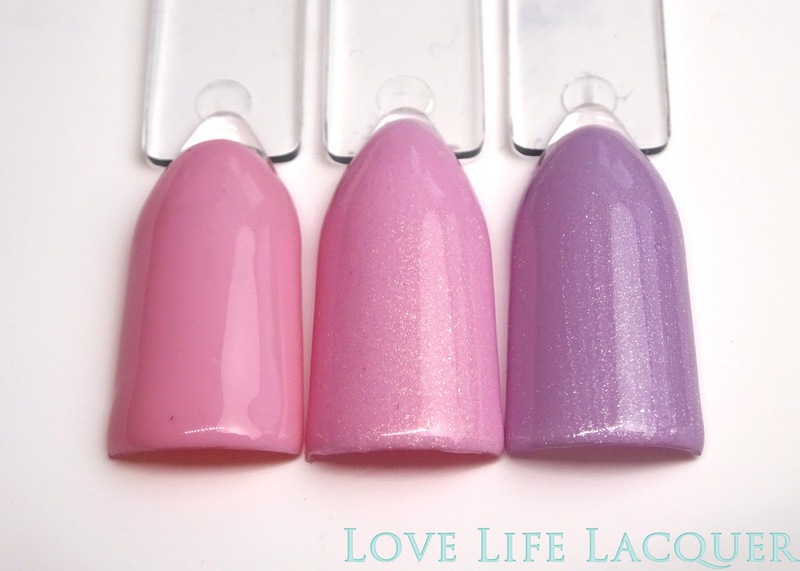 I will be comparing each colour of the new V.I.P. collection to colours from the existing collection. If you have any requests, let me know and I will update this post! Lovely Pink is like Baby Pinks older, cooler sister, because she has da shimmer. You know? And Baby Lila is Lovely Pink's twin sister, but not her identical twin. So obvious. 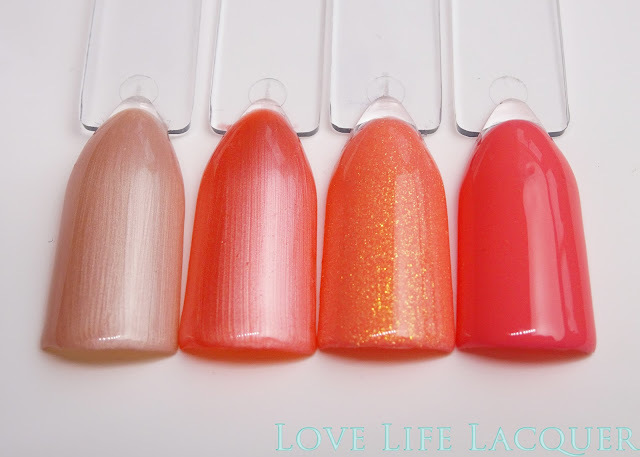 Flamingo Pink is brighter and and more orange than Champagne, however they have the same finish, they are both frosts. 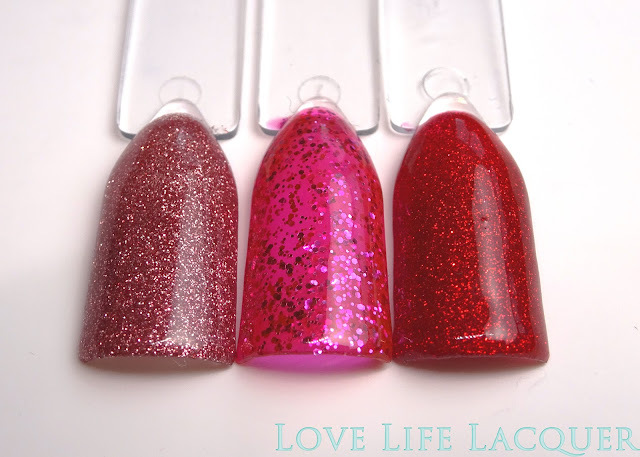 Flamingo Pink is less glittery and a tiny bit less bright than Glamourous Peach. Tropical is a crème and is more coral-y than Flamingo Pink. Partylicious Pink has a very noticable gold shimmer whereas Passion Pink and Powerful Plum have a more subtle shimmer. Partylicious Pink is also very much sparklier than those two. In comparison to Rockstar Red, well, Rockstar Red is a red, duh. Pepper Pink is more dustier and on the mauve side in comparison to Dynamic Pink. 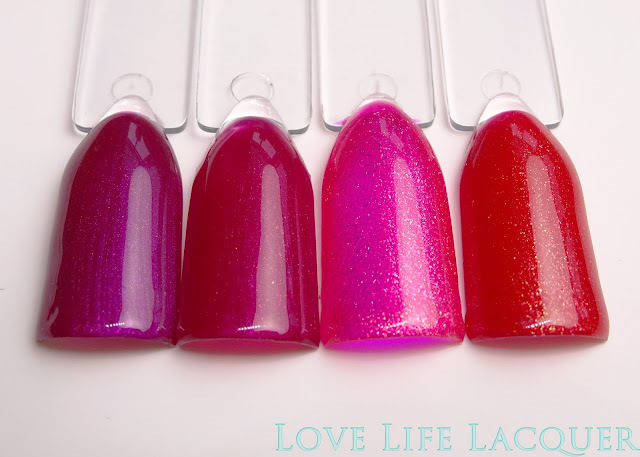 Ibiza Pink is Dynamic Pink's extreme, crazy, rebel sister, it is much much brighter as it is a neon. 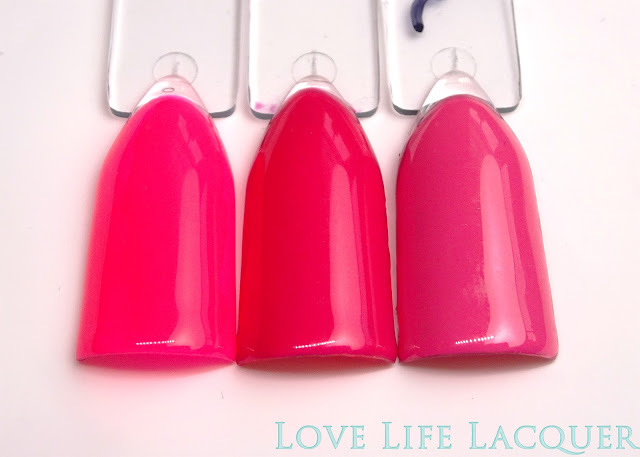 Dynamic Pink is NOT a neon, it is a bright but wearable shade and definitely not a neon. Even though it is quite obvious that these three shades are nowhere near each other, I still wanted to show them, so you can see it for yourself. And because I wanted to compare each colour to other colours :-D. Just comparing for the sake of comparing! I hope this was helpful and like I said, if you have any requests: let me know!